Ricciardo was the first racer to defend his rankings crown last year, and so taking the title once more in 2017 means he has become the first ever triple champion. The Australian's cheeky personality and constant good mood has helped keep a positive attitude across a season that could quite easily have gotten everyone down. 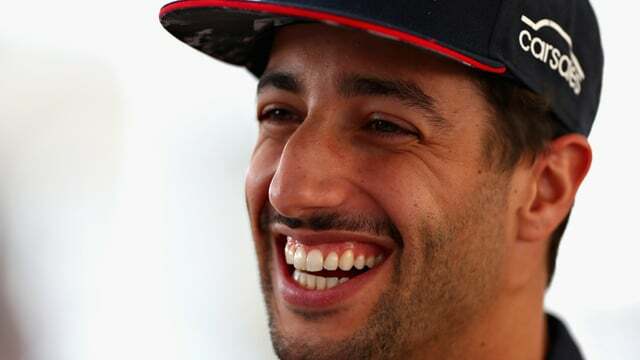 Although he dominated the latter half of the season, Ricciardo faced early competition from the second and third place drivers, themselves no strangers to the rankings round-up. Lewis Hamilton and Fernando Alonso have found themselves on the rankings podium this year, and here is a look at how our three finalists made their way to the top of the table. Alonso has already earned himself a fantastic reputation for engaging with fans and generally enjoying his career, no matter what results he's actually managing to get out on track. This year was more of the same, and even more so, really, as the continuing problems experienced by McLaren and Honda would have gotten down the most optimistic of drivers. Alonso, though, he expanded his horizons, tried other racing opportunities and kept a good head on his shoulders. Alongside the physical act of driving, Alonso has picked up recent points for setting up an eSports team, as well as developing a great relationship with his teammate, and generally have a great outlook on life. For the second year in a row, Hamilton has finished second in the Rankings championship. The Brit has previously been a champion but has had to defer to the Red Bull competition for the past few years. Hamilton is perhaps the most high profile figure in the paddock, an enigma of a driver that is sometimes happy, smiling, heart on sleeve open-ness, and other times taciturn, lacklustre and ready to blow at the drop of a hat. This year has been more of the same, but there has been additional fun and games to behold as the season progresses. From famous friends and fans, to travelling to new and exotic places, Hamilton has been trying to learn and grow and that is always appreciated. There's been noticeably more positive than negative for Lewis this year, which can only be a good thing for his future efforts. What else can we say about Ricciardo? Consistently funny videos with or without his teammate Verstappen have propelled this driver to the top of the table. Whether it is trying out some dodgy exotic fruits, going for a cycle ride around a full lap of the track, and going wide-eyed at some of the sights in NASA. This is a man after my own heart. With three rankings championships under his belt, it's hard to see how anyone else can beat the chirpy Ricciardo. This year he came out with the best line I've heard from any driver - that some take the sport far too seriously. We should all just relax and enjoy the ride. Thus comes to the end another brilliant season of Christine's Rankings, and I hope you've enjoyed it as much as I have. The off season is traditionally a time for the drivers to fall quiet, have some rest and recuperation time and gear up for another year of high pressure racing. But keep your eyes peeled, because there's always the odd one who does something rankings-worthy in the off-season too. Still, hats off to Ricciardo and let's hope for more in 2018!